The Pickstock Group was warmly welcomed in Milan by Politecnico di Milano (Polytechnic University of Milan). The invitation to speak at the University’s Careers Abroad Event was extended in February and was quickly accepted. The event presented a fantastic opportunity to meet some of the exceptional young talent from one of the most distinguished and reputable engineering universities in Europe. The event, organised by the University’s careers service, is hosted for undergraduate and postgraduate students from the Schools of Architecture and Design. The Pickstock Group was invited alongside other international companies, such as Louis Vuitton and Gucci. Sara presented an overview of the companies within The Pickstock Group and the sectors in which they operate. The presentation focused specifically on the relevant architecture and design requirements of The Pickstock Group in order to be most applicable to the students. The presentation was followed by a two hour workshop designed and run by Sara, which aimed to assess the students’ abilities. During the task the students concentrated on modular construction and were asked to come up with new designs specifically focusing on the hotel industry. Once complete the teams presented their ideas and concepts to Sara and the rest of the group. 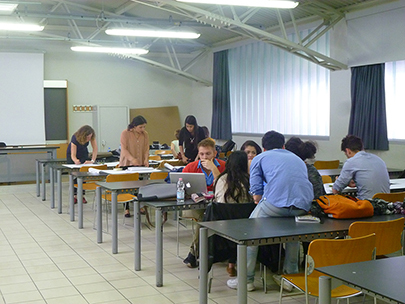 The standard of work and ideas produced by the teams was extremely impressive, further reflecting the incredibly high standard of the students at Politecnico di Milano. The final part of the day was a series of speed interviews with students. This provided the opportunity for Sara to interact with students on an individual basis, and get an indication of their skills and past experience.